Designer Real Time wholesale fragrances available at Mirage Cosmetics, at wholesale prices. 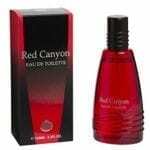 Fragrances for both men and women with a variety of scents, ideal for any taste and occasion. Available to purchase in packs of 6. Shop our wide range of products below.